A study of Reuters suggests news media is not a simple mirror to the world: News content is a crafted, cultural product. Iron and Steel giant ISKOR's Vanderbijl Park refinery next to farmland. When the Economist published its infamous Africa Rising cover issue in December 2011, it sparked a heated debate about media representations of Africa. Some observers welcomed the magazine’s positive predictions for Africa, while others were much more critical, arguing Africa Rising was a reductive and misleading generalization. It is important to study and debate these high profile magazine articles. But we must also pay attention to the day-to-day news coverage of Africa: the shorter news items and updates that are constantly sent around the world, shaping the international audience’s perception of the continent. For a recent project on the media representation of Africa, I analysed a large sample of daily news coverage about the eight most populous countries in sub Saharan Africa, comparing news from the 1990s and the 2010s. 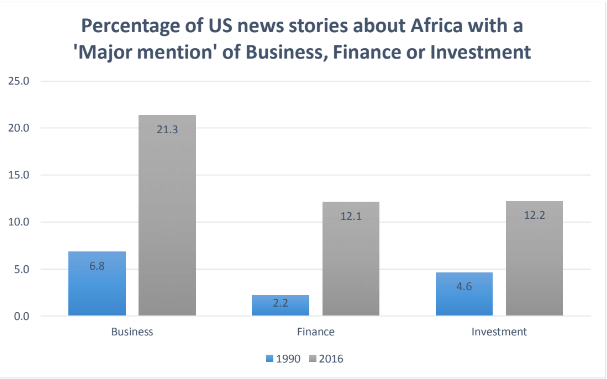 One of the most profound changes I identified was a sharp rise in business journalism about Africa, and a decline in traditional ‘hard news’ reporting. 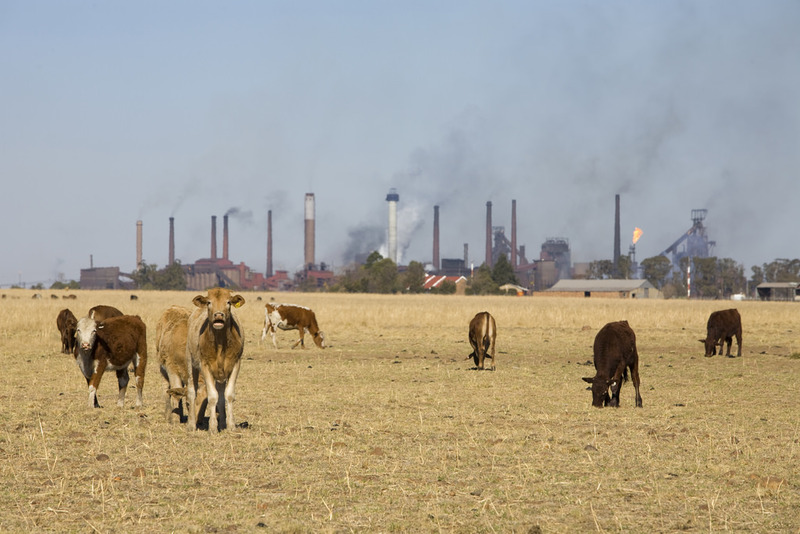 This has created what I call a ‘financial turn’ in Africa’s media image, and it means that issues and events are increasingly reported and evaluated in terms of their impact on markets and commodities, rather than people, society, or the environment. There are several reasons for this change. The first is, of course, that there has been significant economic development on the continent. Between 2000 and 2011, foreign direct investment in Africa rose from $US9.4 billion to more than $US60 billion. With more capital flowing in and out of the continent, it makes sense that international reports would focus more on business and finance. But this is far from the “full story”. The news media is not a simple mirror to the world. News content is a crafted, cultural product. It reflects the priorities and news values of the organisations and journalists that make it. And – crucially – it reflects the economics of the news industry and who is willing to pay for information. In the last two decades, around the world, general news markets have come close to collapsing, while markets for business journalism have grown. International news organisations are facing one of the most severe financial crises in their history. Circulation and advertising revenue has crashed. Trying to cut costs to survive, many have closed their foreign bureau, and slashed their travel budgets. In a report for Harvard’s Shorenstein Center, Jill Carroll found that in just six years, between 2000 and 2006, there was a 10-30% decline in the number of American newspaper-sponsored foreign bureaus. Television networks have also been extensively cut; there are no American network bureau left in Africa, India or South America – regions that are home to more than 2 billion people. The decline in traditional foreign correspondents has been especially dramatic in Africa, where most news outlets have no correspondents of any kind. From the UK and US, only a handful of “quality” news outlets have permanently posted correspondents. And these correspondents are often expected to cover an extremely large region – in some cases, the whole continent – meaning they are often desk bound and reliant on external sources for story ideas and updates. While general news has been in decline, resources for making international business journalism have grown. Arguably the biggest shift took place in 2007/8, when the Reuters newswire – one of the most important providers of news about Africa – merged with the Thompson Corporation. In the wake of this merger, Reuters re-focused their news efforts in Africa to emphasise business news and information that would serve their financial clients, rather than their general news media clients. …what are the economic implications [of a news story]? How does this change investment or political risk? If it doesn’t, we don’t want it. We have paying customers who are investing lots of money and they want to know what’s the stock exchange doing? What’s the currency doing? What’s the political situation like, the political risk? That’s why Kenya, Tanzania, Uganda and Mauritius are always there – we must keep up a flow of news for investors basically. This major shift in reporting priorities is clearly illustrated in the news Reuters publish. In the 1990s, only 29% of the newswire’s reports were about business subjects. By the late 2010s, this had more than doubled to 68% of all news content. It’s not just more financial reporting, it’s financial aspects in all general news stories as well. So if 8 elephants die from the drought in a national park, we don’t just write about the deaths – we write about the deaths’ implication on tourism…everything is being discussed and considered through a financial lens. In addition to the important changes at Reuters, there have been a number of new entrants to the media market who focus on business journalism. This includes new segments in existing media, like the BBC World’s “Africa Business Report”; CNN International’s “Marketplace Africa”; the Financial Times’, “This is Africa”; “Global Business Africa” on CCTV and “Innovate Africa” on AJE. It also includes a number of new pan-African publications, for example: African Business Review, African Banker Magazine, and Forbes Africa. Source: Nexis, US newspapers and wires (1 July–31st December each year). 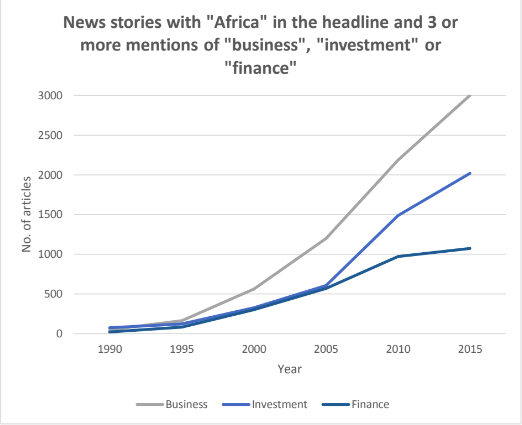 Today there are more resources for business reporting about Africa than ever before. One illustration of this shift is that, in some capital cities in Africa, there are more international journalists working for the major business orientated newswires (Reuters and Bloomberg) combined, than the major general newswires (AFP and AP) combined. It is good and appropriate that business journalists report on finance and markets in Africa, just as they do in other regions of the world. Indeed, business reporting is a welcome change to centuries of “Afro-pessimism” in news content, and reports that focus on crises, darkness, poverty and white saviours. An example of this can be seen in March 2017, when a cyclone hit Madagascar killing more than 80 people. The international newswire Reuters published a number of stories on this event, including one for it commodities page that focused exclusively on the impact of the cyclone on the vanilla export market: “Madagascar vanilla producers say cyclone damaged 30 pct of crop. This was an economic analysis of the event that did not discus its humanitarian or social dimension. Despite this, the news story was reprinted in the general news pages of outlets around the world, such as the Mail Online and the Australian news website, news.com.au. Audiences who only saw this version of events were not exposed to its humanitarian or environmental dimensions. The financial turn in the reporting of Africa demands further research and attention, particularly as the resources for general news production continue to decline, and businesses information providers – as well as NGOs, governments and businesses themselves – step into the information hole this creates. * Digital Africa is a collection of posts exploring ‘African Media in the Digital Age,’ also the subject of an International Communication Association Preconference held at Stanford University in May 2017. The posts were compiled and edited by Toussaint Nothias, a lecturer in the Center for African Studies at Stanford University.